3 adjustable seat recline positions will help you choose the best option for any occasion both you and your baby will enjoy. The assembly of the swing but might seem difficult. The reliable and fancy baby swing will become your daily indispensable helper since the day your baby is born. Both you and your little one will love the comfort and functionality provided by this swing. The baby swing provides 2 swinging motions: side-to-side and head-to-toe. This will allow you to quickly find your baby's favorite swinging mode. 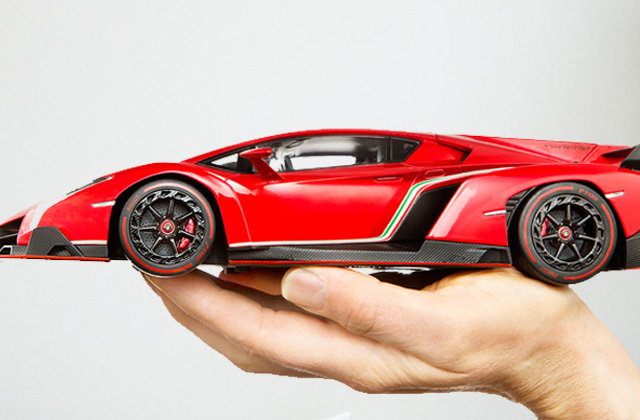 The motor might get loud at the maximum swinging speed. An ideal option for home use, these indoor baby swings are a life-saving solution for young families. 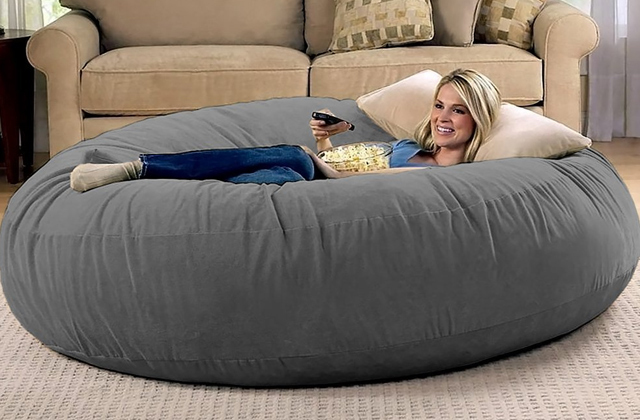 The convenient design makes for comfortable operation. Lots of different tunes will entertain and soothe your baby every day. The compact size and portability of this baby swing will allow you to move it around with no difficulties at all. The battery slot is located under the volume controls. It might seem unusual at first. Comfort & Harmony provides the best price-quality ratio. The attractive compact design of this model permits you to use the swing at home or take it with you on a trip. The WhisperQuiet technology minimizes noise during operation, helping your baby rest calmly and comfortably. Control buttons might be rather hard to press. This compact baby swing is portable, with a lightweight design, which allows taking it on the go. Even the most sensitive babies will enjoy napping in this comfortable baby swing. Large seat with removable head support and 2 recline positions provide maximum comfort for your baby. The vibration might seem quite weak. Both reliable and simple, this baby swing is great for home use. 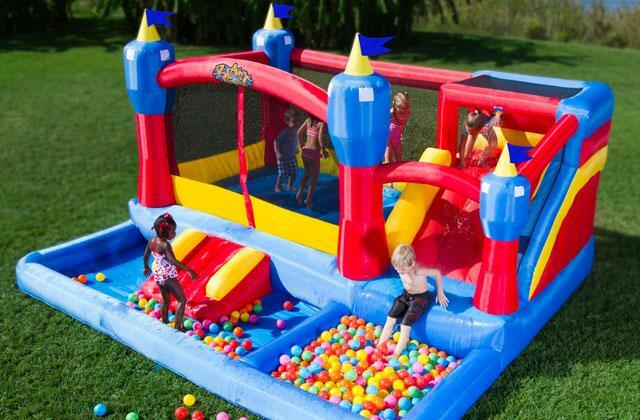 Its sturdy frame ensures the durability of the swing. Take advantage of the peace-of-mind time while your baby is enjoying the safety and comfort of the Graco LX Gliding Swing. This baby swing has a reliable and sturdy design with the maximum recommended baby’s weight limit of 30 pounds. Your baby will be kept safe and secure by a five-point harness with adjustable straps. The removable soft head and body support provide extra safety and comfort for any baby. 6 swinging speeds allow you to choose the most suitable one for your baby. Glider LX gliding baby swing features 2 vibration speeds to soothe your baby in the most comfortable way. Set the timer to extend the battery life by keeping the baby swinging only when you need it. Graco LX Gliding Swing provides 10 melodies and 5 lovely nature sounds your baby will definitely enjoy. The toy bar with 2 soft toys is adjustable so that your baby can easily reach it. These baby swings come in 5 different color patterns. The Graco LX baby swing features a spacious plush seat with 3 recline positions for your baby’s extra comfort. Graco LX baby swings on sale feature unique gliding design that distinguishes them from other leading brands. The design of the swing allows putting your newborn babies there thanks to the removable body support. These indoor baby swings help you save space in your home, using the swing wherever it is convenient for you. The swing works on batteries and plugs to the mains, providing both portability and cost saving. Fisher Price baby swings are always a great gift for a young family. 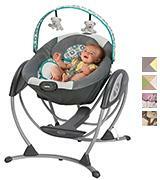 The recommended maximum baby’s weight limit for Fisher Price My Little Snugapuppy cradle-n-swing is 25 pounds, which guarantees the reliability and durability of the swing even when you use it all the time. 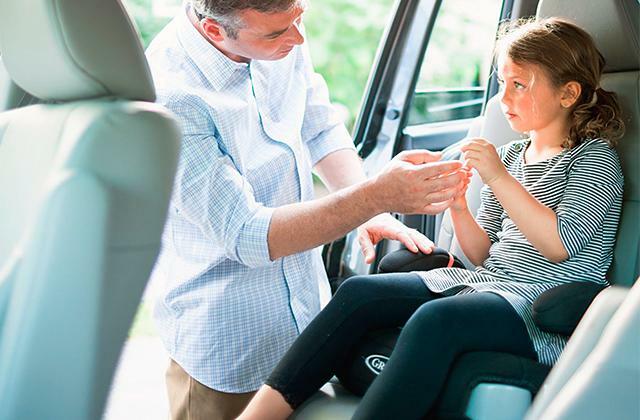 Thanks to the secure adjustable five-point harness, even the most active child will be safe, sound and comfortable. My Little Snugapuppy Fisher Price baby swings can be used from birth to the moment when your baby tries to climb out of the swing. These Fisher Price baby swings provide two swinging motions — side-to-side and back-and-forth, allowing parents to soothe your baby in the most effective way. The swings have 6 swing speeds that are easily switched by just pressing the buttons on the top. There are 8 calm and 8 playful melodies along with 2 gentle nature sounds, which will help calm or entertain your baby. The volume control allows you to select the right volume. The motorized mobile features a mirror globe thanks to which babies can see themselves and what’s around. 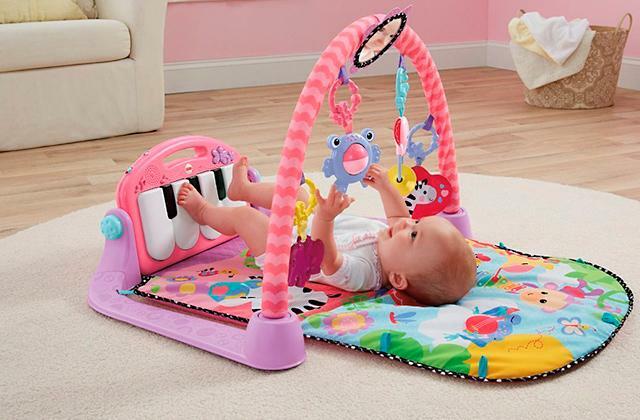 3 soft animal toys hanging from the mirror mobile overhead help develop your baby’s senses. 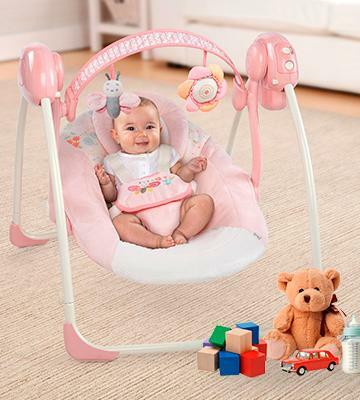 Along with My Little Snugapuppy, the seller also offers such super cute Fisher Price baby swings as My Little Lamb and My Little Snugakitty — pick the one you and your baby will love the most! Fisher Price My Little Snugapuppy features 2 recline positions and 3 adjustable seat positions (right-facing, center, left-facing) so that you can find the perfect one for your baby. The 2 different swing motions — the side-to-side cradle motion and the back-and-forth swinging — allow for soothing babies just the way they like it. With the removable newborn head support, designed as an adorable puppy, My Little Snugapuppy is a great baby swing for newborn babies. Thanks to the reliable sturdy steel frame with foldable legs and the soft, machine-washable seat cover, storing, handling and transportation of the swing are literally a child’s play. 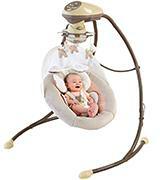 Comfort & Harmony Cozy Kingdom Portable Swing is relatively small and compact, and the maximum baby weight limit recommended for the swing is 20 pounds. 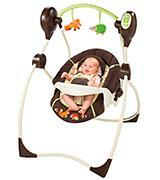 The baby swing has a five-point harness to keep your baby safe and secure. You can always adjust the straps as your baby grows. Despite the compact size, this baby swing features a wide, soft seat with a removable headrest to ensure that your baby feels comfortable enough. This portablebaby swing is lightweight and easy-to-use. The swing has 6 speed settings, with the True Speed technology ensuring that the speeds will be maintained as the baby grows. It runs quietly so your baby will enjoy a deep and peaceful sleep. The WhisperQuiet technology and 6 soothing melodies with volume control and auto shut-off function make sure the baby will rest calmly and peacefully and won't be bothered by the loud noise of the motor. 2 plush toys will entertain the baby and accelerate his or her development. These baby swings are available in 2 style options: Cozy Kingdom and Sunny Snuggles. The ComfortRecline seat offers 2 recline positions and keeps your baby comfortable thanks to the soft fabric. To provide extra comfort, the swing has a headrest that can be removed as the baby gets older. The lightweight, compact design allows for better portability — you can take the swing when you go somewhere with a baby, as it wouldn’t take up much space in your car. These baby swings run on batteries only, requiring just 4 C batteries. You won’t ever have to worry about your baby’s safety, as the high-grade materials in the Comfort & Harmony portable baby swing ensure the maximum reliability of this swing. The reliable construction of the swing provides for maximum recommended baby weight of 20 pounds, the design is simple and lightweight for better portability. 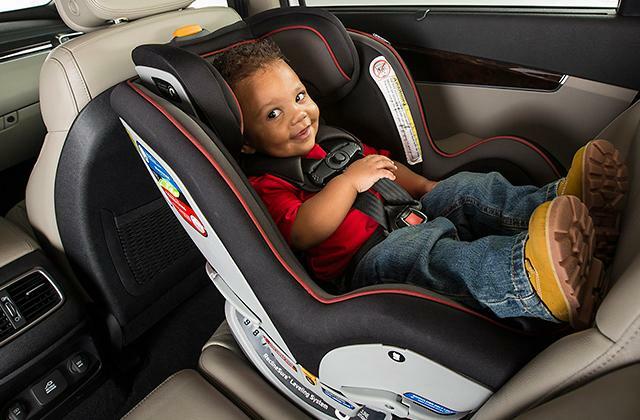 The high-quality seat with the five-point harness ensures that the baby will have a safe nap. If necessary, you can adjust the straps’ length to fit the baby comfortably. The swing provides 6 swing speeds with a convenient speed dial, which makes it very easy to set up the desired speed to lull your baby. WhisperQuiet Technology ensures the silent operation of the swing. Thanks to the TrueSpeed Technology, the 6 speeds will be maintained as your baby gets older. 6 original melodies with volume control will help soothe the fidgety baby. 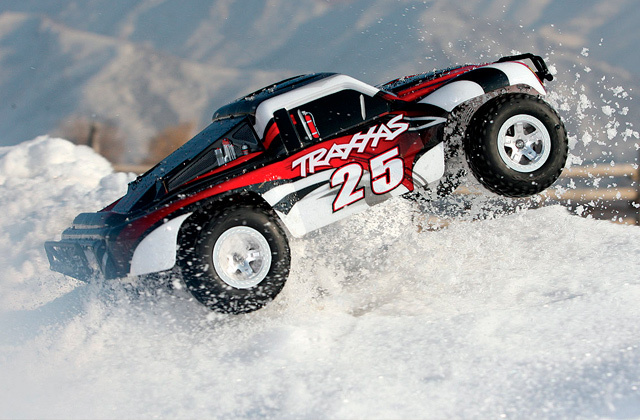 The auto shut-off timer helps you save battery life and allows to stop the swinging in 15, 30, or 40 minutes. The pivoting toy bar has 2 soft toys to entertain your baby. This model is provided in several design options, including pink and purple baby swings. The seat in this comfortable baby swing has 2 recline positions and a support for your newborn baby’s head. For more convenience, you can remove the support when the baby gets older. Both you and your child will love this model as Comfort & Harmony have proven themselves as comfortable, lightweight, stylish portable baby swings. Its compact design allows you to easily move the swing around, fit it in your trunk or store the swing wherever it’s convenient for you. This swing only works on batteries, requiring 4 C batteries for operation. This baby swing can be used since the baby's very birth. The maximum baby weight recommended for safe use of the swing is 30 pounds, which proves the reliability of the swings' design. 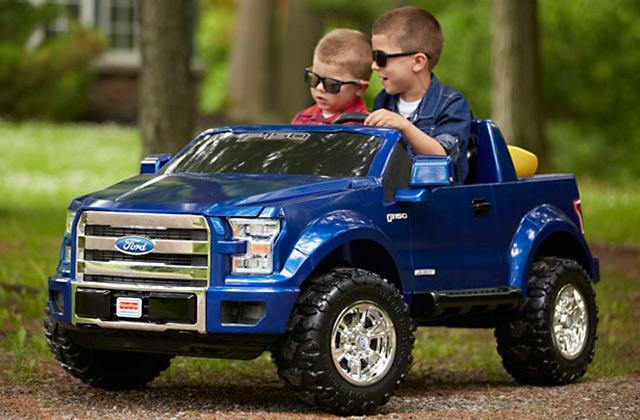 The safety options also include a five-point harness and a removable head support for newborn babies. The extra-wide seat ensures that the baby will sleep safely and comfortably. For maximum comfort and safety, don’t forget to adjust the straps of the harness as your baby grows. 5 adjustable swinging speeds and a gentle vibration mode will help you soothe your little baby in the most comfortable way. 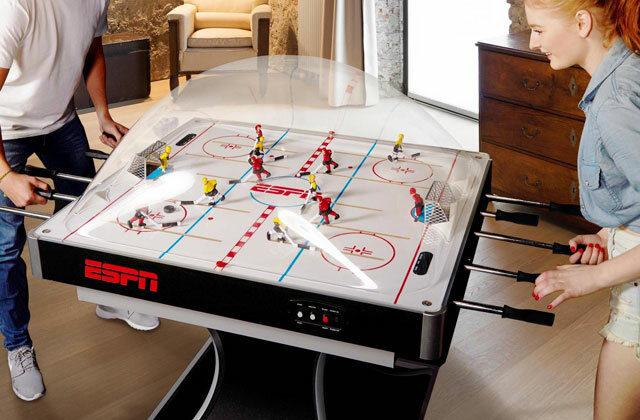 The sleep timer function will automatically stop the swinging after 20 minutes of operation to save battery power. The toy bar with 2 soft toys will help entertain the baby and develop their tactile sense. The toy bar is removable to ensure more comfortable access to the baby. The lightweight, compact design of the swing allows folding it for storage and transportation. 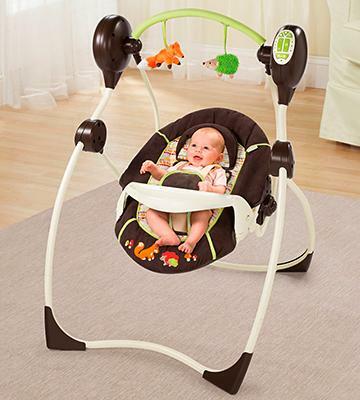 This baby swing features a neutral color palette and suits for both boys and girls. The plush seat is large, with 2 recline positions so that you can choose the best option for you child’s healthy nap. The newborn support allows using the baby swings for just born babies and can be removed when your baby grows. If you need to store the swing or simply move it from room to room, simply press the 2 easy-touch buttons on the side simultaneously to fold the swing. These portable swings can be used anywhere as they run on batteries, requiring 4 D batteries for operation. A safe sleep environment is an important part of your baby’s healthy and safe sleep. 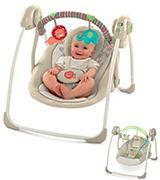 Electrical baby swings provide perfect conditions for your baby’s rest. Portable baby swings are indispensable helpers for families with newborn children. Their main function is to help babies calm down and lull them to sleep. You won’t have to hold the baby in your hands all the time — baby swings will allow you to free up some time for yourself. The swings will help you soothe your baby quickly and easily, giving your child a deep, healthy sleep. We’ve reviewed and selected five best baby swings. Check our shortlist to find the swing you and your baby would definitely love! You might be also interested in a more mobile option of this device, a baby bouncer. Before your baby starts cruising around, consider buying baby walkers that will help your baby discover the joy of first steps and will keep them safe. Let’s see what important characteristics of baby swings are to be considered. Functionality is an important feature when it comes to choosing a baby swing. 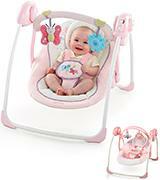 Different models of electronic baby swings provide different swinging options for soothing a baby. Most baby swings provide 2- or 3-position seat adjustment options, so pay attention to what seat adjustments your chosen baby swing provides — the proper positioning of your baby in a swing affects the proper development of your baby’s back. Just born baby swings with infant headrest will allow you to use the swings since the birth of your baby. 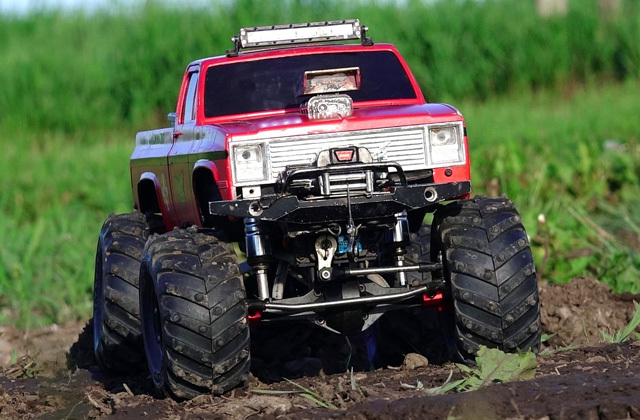 Consider the availability of speed adjustments and an auto-shutdown system allowing you to save the battery power. Modern baby swings with light and music can lull your baby with soothing melodies (there are usually from 6 to 16 melodies to choose from) or sounds of nature. Volume control options let you adjust the sound volume. Please, note that not all baby swings have a sound-off timer, so consider whether you need one. Check if your baby swings have a vibration mode that might help the baby relax. For a better motor development of your baby, find out if the swing has toys the baby can reach with his or her hands. Ease of Use is another major advantage of baby swings. Electrical baby swings have their own advantages. Not all electrical baby swings can be powered by AC — most compact baby swings run on batteries. With 3 to 10 hours of battery life, you’ll be able to take your baby swings with you on a trip or use them outdoors. Larger baby swings are more suitable for home use, they can also run on AC, allowing you to save some money on batteries. If you have little space for placing a baby swing, check out for the one with a foldable frame design. And don’t forget to check if the legs are foldable, too — this feature will also make for convenient portability and easy storage. Best Rod Hockeys for a Fun and Challenging Game!